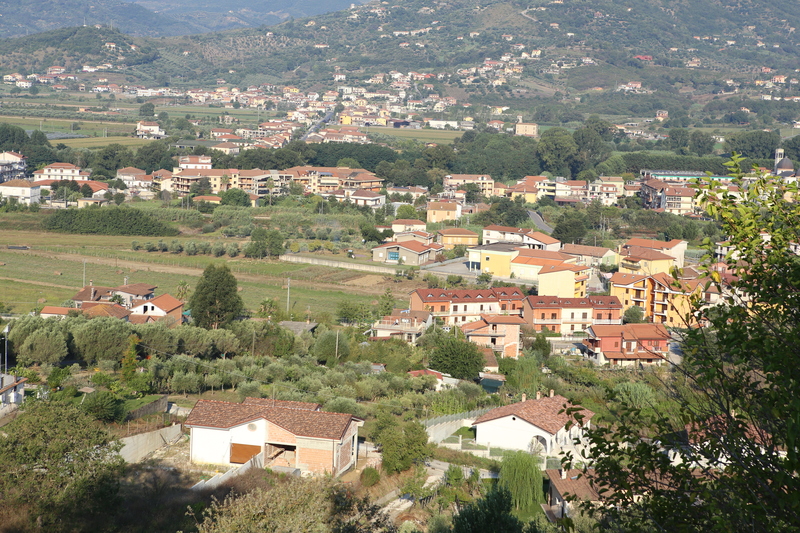 As Jo Anne said in her BLOG Mezzogiorno Living, We had no idea of what was in our little area of Italy when we bought. There were no resources to find restaurants, stores, bakeries, bars, etc. We felt lost without good internet knowledge. This is one of the main reasons she is so passionate about her BLOG. She provides this information to all. I remember thinking, I can go on Google Earth and walk the streets of our town. I did just that and found what looked like an industrial area. The buildings all had metal shutter doors pulled down with graffiti on them. This was in the afternoon! Where was everyone and why was our new town so industrial looking? Was it a ghost town? After our first trip we found out that the metal shutters protect store windows. When they were up the town was transformed into this cute little village. There were bread stores, pasta stores, delis, candy and pastry shops, a bar, a buffalo mozzarella store and a vegetable stand. There were also clothes stores, digital photo store, Gelateria, Pizza place, Wine store and a mobile telephone shop. But how did this magical transformation happen? What we forgot was the passeggiata (walk). Stores close from around 1pm to 4 pm. Store owners meet with friends and family to walk and have lunch together. During this personal time all stores are closed. The metal shutters are pulled down and the town is transformed. After 4 pm the town transforms back to a wonderful small town. It us family oriented and healthy as well! This is really living….I’ve always loved this aspect of Italian life, how they take time to spend together.